While a large part of Europe is under mostly stable conditions, an upper low is rotating over the southern Mediterranean today. Widespread convective activity is ongoing with mainly excessive rainfall and waterspout threat as storms are fueled by above-normal sea temperatures in the region. 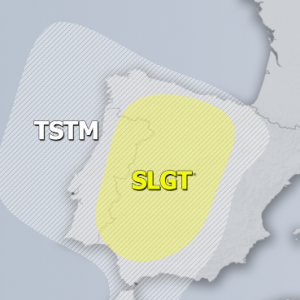 The threat will continue for another 36 hours, until the upper low finally weakens and another low pushes into the western Mediterranean and eastern Spain. The pattern across Europe shows ridging across the east-central parts of the continent and also a strengthening ridge over the northern Atlantic. At surface, strong high pressure systems are located over the far eastern and western Europe. A cyclone is located over the southern Mediterranean where an upper low remains in place, centered over Tunisia. 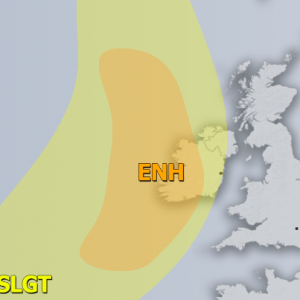 Various models (GFS, HIRLAM, ARPEGE, HRRR, ICON-EU) are simulating quite a large amount of rainfall locally, could even result in above 150-200 mm until Thursday evening, Oct 18th. 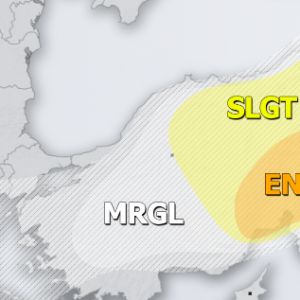 Areas along the eastern coast of Sardinia and Corsica could experience flash floods. Another area of enhanced flooding threat is northern Tunisia and far NE Algeria where intense storms are already ongoing. Additional activity is expected there as slow moving upper low and high moisture content suggest more rainfall should occur.